If you are unsure about how you will pay your tax bill each year, it's important to seek customized tax planning to avoid tax debt. Since tax debt can lead to collections calls and visits from an IRS revenue officer, and will eventually mean a lien or levy on your personal property, customized tax planning can help you pay for your taxes before they become a problem. Not only can customized tax planning keep you out of tax debt, but tax planning can help you lower your tax bill for a business or estate. This means you can plan now to protect your family from a tax burden down the road. Business tax planning helps protect your family by setting up creditor payment protection in the event that your business is in debt. In the event that you are selling off a business, tax planning can make sure that you pay any tax bill associated with the sale without getting into tax debt with the IRS or having your personal assets at stake. Estate tax planning is designed to lighten the financial burden that your loved ones may have to deal with when you are gone. Tax professionals can show you how to gift money or items to your family on a yearly basis before you're gone, in a way that avoid tax as much as possible. That way, your loved ones are left what you intended to give them, without a heavy tax burden to worry about. Tax professionals are even skilled in dealing with life insurance policies, and making sure that the proceeds are distributed as you wish. If you need customized tax planning for your personal taxes, business, or for estate planning purposes, you need the help of a professional tax firm. The team at Top Tax Defenders knows how the IRS works, and how your business or estate will be taxed. The experienced firm can help you avoid a tax burden by planning today, rather than waiting until it's too late. Top Tax Defenders boasts over 27 years of experience helping clients with tax issues. 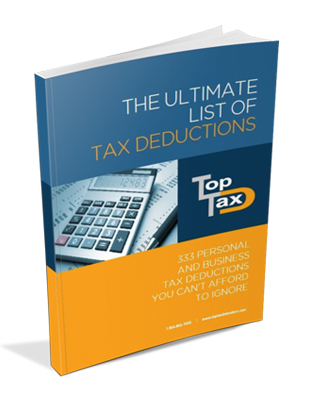 Personal and business deductions you shouldn't ignore. "I would like to commend and recommend Top Tax Defenders to anyone with tax problems. They were very professional, communicative and resolved our long-standing tax problems quickly. I couldn't be more pleased!! We just paid a fraction of what was owed. Thank you."